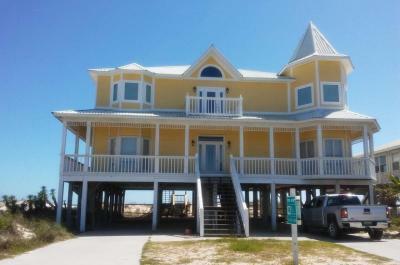 Stay at some of the most impressive 5 and 6-bedroom Gulf Shores vacation rentals while immersing yourself the many attractions here. Many of these large homes sit right on the beach, with staggering and uninterrupted views. Amenities vary from one rental to another, and you can find out more by clicking on any of our listings or calling us at 800-959-7326. Find the perfect home away from home for everyone joining in the fun. 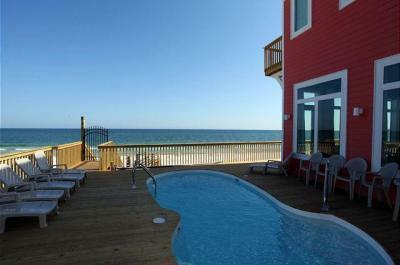 Our 5 and 6-bedroom rentals are sure to make your stay in Gulf Shores much more enjoyable. 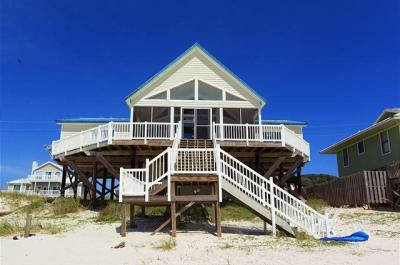 Gulf Shores is your ultimate vacation destination for a large and adventurous group. There’s fishing, kayaking, hiking, biking, and hundreds of other family-friendly things to do while visiting the very edge of Alabama. Vacationers can spend an evening soaking in the sunset and searching for dolphins on an acclaimed dolphin cruise. Wildlife refuges and tours, mini golf, theme parks, fishing piers, top rated seafood restaurants, and much more can be found throughout Gulf Shores. History buffs and curious travelers alike will enjoy visiting Fort Morgan – a Civil War-era fort surrounded by 250 acres of protected land. The area is pure, isolated, and perfectly suitable for fishing, shelling, biking, and other outdoor activities. It’s the perfect place for encapsulating the Gulf Shores experience. Or head out to the popular Gulf State Park Fishing Pier – a relaxing place for a walk, fishing, or wildlife viewing where you can see pelicans and other sea birds, sharks and dolphins.